Do you love chocolate and coconut? Then our Bug-O-Nut rough is perfect for you. These bite sized bits of chocolately goodness are mixed with coconut and one of our special bug ingredients, to help this sweet treat get its unique favour. What is the special ingredient I hear you ask? Tiny pupae! 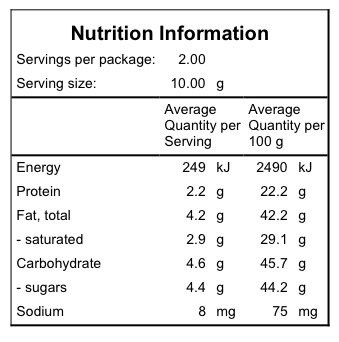 Allergen information: CONTAINS: Milk, preservative 220 and 223. Made in a factory that also processes tree nuts and peanuts. People who are allergic to shellfish should not eat edible insects, as they can have a similar reaction.